We have found the following products matching your search for Medium Ball Bracelet with Tassel Charm Silver. This Chlobo bracelet is a beautiful statement piece. The sterling silver band features a mixed mini ball detail. 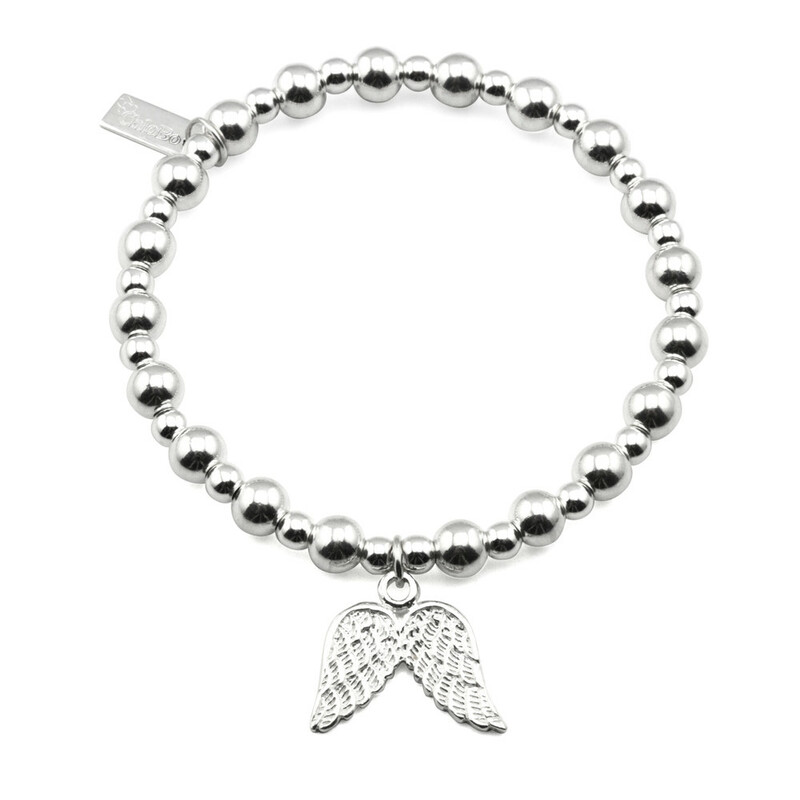 Whilst the double angel wing charm is intricate and elegant. Make an ultimate impact to your look by layering with this chunky Medium Ball and Disc Bracelet With Decorated Heart Charm. This sterling silver ball and tassel bracelet is stunning. The idea behind ChloBo is a layering concept, but each one makes a beautiful statement piece of jewellery. Alohi bracelet - Mini Mara Aloha Collection A pretty handmade stone bracelet with a peace sign charm. The charm is sterling silver. Tiny sterling silver beads and a mini tassel decorate the bracelet. 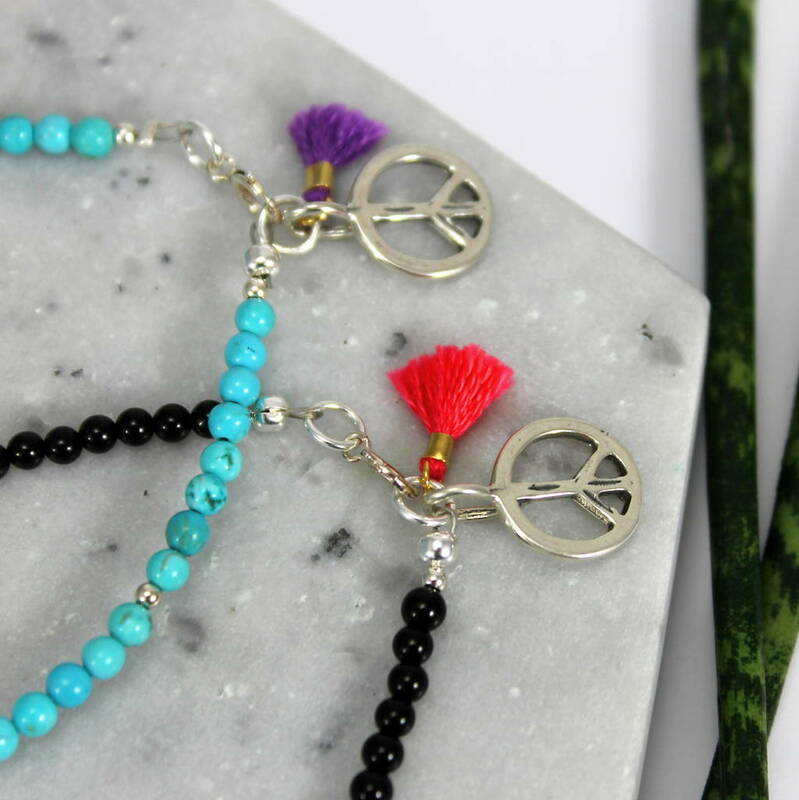 Choose from turquoise with a purple tassel, white howlite with a black tassel or black onyx with a pink tassel. The bracelet comes on Mara jewellery in a gorgeous branded pouch. Sterling silver, turquoise, white howlite, black onyx, cotton. 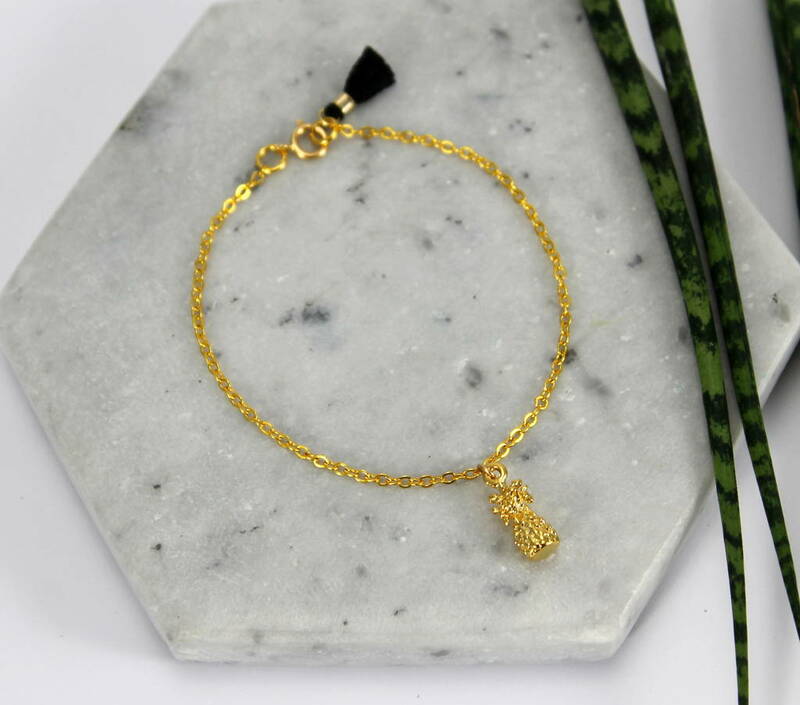 Malia bracelet - Aloha Collection A delicate 14ct gold filled chain bracelet with a solid mini pineapple charm. The charm is 18ct gold plated over sterling silver. A mini tassel decorates the bracelet. Choose from a pink, black or purple tassel. Mara bracelets come on jewellery card in a gorgeous branded pouch. Sterling silver, 14ct gold filled, 18ct gold plating.